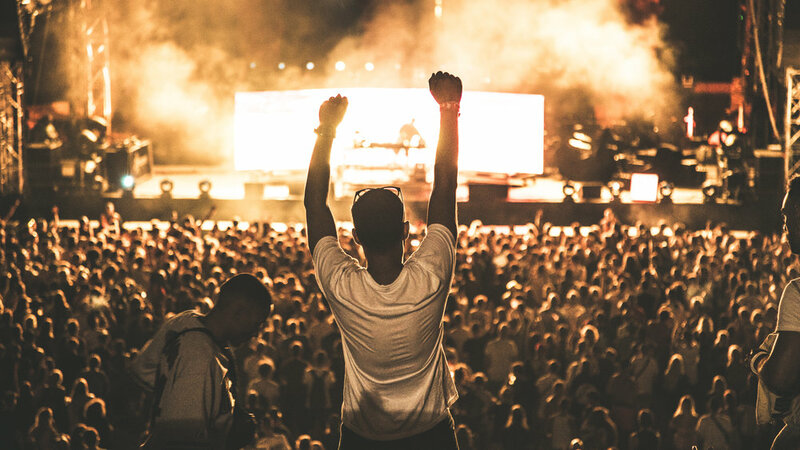 I was flown out to Croatia to film for my favourite festival in the world last summer – Outlook Festival. This was the tenth year the festival had run so it was amazing to be a part of it, this time on the other side of the ropes. The opening party of the festival was held at the imposing Roman ampitheatre in the beautiful town of Pula, a short boat ride from the festival site. This concert featured DJ Shadow, Dizzee Rascal and the incredible Outlook Orchestra, who brought a symphonic sound to some underground dance classics. It was great to have one of those pictures featured by Resident Advisor to their quarter of a million Instagram followers. On the Saturday night I was filming the Deep, Dark and Dangerous boat party. The label is run by the prominent New Zealand dubstep producers Truth and featured some of my all time musical heroes, including dubstep originator Youngsta, with Sgt Pokes and Killa P blessing the mic. The rest of the festival was a joy, despite the weather. I was sharing accommodation on site with another photographer, the insanely creative Sam Kirby (Insta: @samuel_kirby), so it was good getting back after a long night shooting to discuss photo ideas and the creative process.